I’ve finally gotten around to posting the results from my previous post Day Time Reality. I decided to make a banana layer cake, I have never been adventurous with my banana cake I just usually whip up a sponge textured cake and serve it just like that! However as I wanted to use up some of the left over ingredients I had lying in the cupboard and fridge I thought why not make a banana cake layered with cream cheese icing and banana curd? I have put a link for the banana curd recipe and didn’t bother with the topping as ahem! It didn’t come out too good. I’ve listed the ingredients for the banana cake and cream cheese icing unfortunately I work in cups grams and oz sometimes all in one recipe I think I’ve only use two here, I hope it isn’t confusing for you all? Make the banana curd a day in advance so it sets nicely to spread over the cake layers. Pre-heat your over at gas mark 4 and line the bottom of two sandwich tins with grease proof paper and grease and lightly flour the edges, put to one side until ready to use. Make sure your eggs and butter are at room temperature. Mix all your dry ingredients in a bowl and leave to one side. Cream the butter and sugar together until light and fluffy, beat your eggs in a separate bowl and fold them in gradually into the creamed butter and sugar mixture. In another bowl beat the bananas with a fork, then gradually fold them with the vanilla into the creamed butter, sugar and egg mix. Then gradually add the mixed dry ingredients and the milk, alternating between them. Do not over mix. Spread them evenly between the two sandwich tins. Place the tins in the middle of the oven and cook for 40 minutes or until golden brown. While the cake is cooking make up your cream cheese icing. Put your cream cheese in the freezer for 5-10 minutes, (you don’t have to do this, however I find it helps the icing stay thicker than having to add too much icing sugar). Beat the butter in a bowl until it is soft, mix in half the icing sugar a bit at time the start adding the cream cheese, then alternate between the cream cheese and the rest of the icing until it is all mixed together and there aren’t any lumps. Place in the fridge until ready to use. Once the cakes have come out of the oven and cooled on a wire rack, cut both cakes through the middle in half and start layering. With the bottom half spread banana curd on it, on the other half spread the cream cheese icing then sandwich them together so they are both touching. Repeat this again, by spreading banana curd on the top of the already sandwiched cake, then the cream cheese icing on the bottom of the second cake layer then sandwich together as before. Repeat again for the last layer. If you have any more cream cheese icing then spread this on top of your cake, my supposed caramel chocolate and peanut topping needs more work! As you can see from the top picture of the final cake, it came out a bit lets use the term rustic looking! I think this due to me not flouring the sides of my cake tins, oops!) I received the results from my independent judging panel who all said the flavours all worked will together. Just need to make it look less rustic next time. It's another bank holiday here in the UK and it has been sunny most of the day today which is surprising, huh hold on I speak too soon! It has now suddenly become over cast and windy, boo! Anyway I have managed not to try and cram in all a months worth of chores in one day, and have spent most of today cleaning my windows Ooo! the excitement! Which it is not! It is rather disgusting, I can't believe the amount of muck that can get trapped in-between my windows and I am not even on a main road! (Shame on me). I've learnt a trick to finish off my windows, is to rub a soft clean towel over them which gives them a lovely shine I am proud of! Ooo! 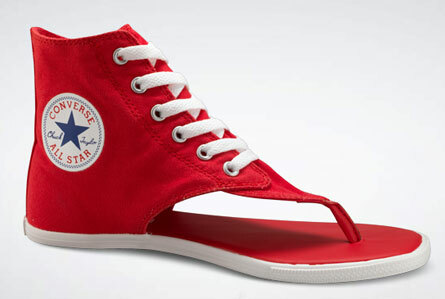 I want a pair of these! I always have at least one pair Converse trainers in my footwear collection but as my current white pair are looking somewhat grey I have been looking around for another pair and came across these which are the top of my list to purchase! They are available here in the UK at Next, Schuh and Office I hope they have my size in stock! As I have been struck down with some cold/flu/hay fever hybrid I was unable to attend my 9-5 for a few days this week. Instead I was subjected to the yawn fest… oops I mean delights of day time TV programs such as Cash In the Attic, Bargain Hunt, A Place In The Country which all appeared to have some magical affect of making me fall asleep, however Show Me The Monet which has been described as the “Beebs XFactor art show” nearly drove me to find my Oyster Card and jump on tube back into work (and this program started at 5pm!) I think that says it all! Anyway it drove me up off the sofa and into my kitchen to see what I could eat I found some ingredients that need to be used up quickly, so I’m thinking what can make out of them. Mmmmm! Cough! Cough! Apart of my spring clean and bringing in the new over the Easter and bank holiday break was to redecorate my bedroom, which I have been talking about for aaaageeees!! Finally on Saturday I made it to my nearest DIY store and purchased some paint testers. Which you can see above my aim for my room is to make it relaxing, chilled and rejuvenating, however with the amount of things I have and lacking room to store them (Although I forgot about the new space that has been made in the garden shed) I think that is a lot of pressure I am putting on the paint to achieve these things! I have gone for blues and greens, and a coral I have been inspired by the array of colours of pink flamingos and thought maybe this coral may be the nearest to them? Now I’m looking at the paints just in their pots with sober eyes and no longer with the intoxicated future visions of what my room is going to look like rushing over me I am now filled with err what was I thinking!? Hopefully once I test them on walls they may look alright? Having had to walk to another newsagents which isn’t as close to my house than my usual one, because the news paper I wanted had sold out! I was even more disappointed to find I wasn’t featured anywhere in it! Yes that’s right I was looking at the Sunday Times Rich List lol! I know, I know delusions of grandeur, wishful thinking or plan right cuckoo! Whilst still being at my 9-5 I would have to make and sell loads of cakes (instead of eating them!) to even scrap on the list. However it is an interesting read to see how the other half live. The above picture is of a £1 note some of you may remember using these, I vaguely remember, or was I shown one in a history lesson? Okay I tell untruths! I remember my big sister using them to pay for her stash of 5p crisps and penny sweets! Peggy B senior found this today while going through some old things; she thinks it may be worth something, not enough to get into print me thinks! All in a days work? Today is the day I return back to the 9-5 after having the 11 day Easter Bank Holiday break from there, although my heart and feet feel heavy whilst travelling to the tube station, it got me thinking about the long list of things I gave to myself to complete over those 11 days, like cleaning out the garden shed, redecorating my bedroom, have a cake sale, catching up with my friends and relatives, trying out 5 new cake recipes, oh and spending a day at the seaside. And what makes this all so more Mission Impossible the list didn’t end there! Well I did do some of these things, however who was I kidding? Clearly myself. As my body, if it wouldn’t allow me to move, then it would fall in a near comatose state of sleep any time I sat still for two minutes! I do this all the time, all the things I’ve been day dreaming about I wanted to get done over the last four months at work, I know it isn’t wise to try and cram them all in on my days off. Oh well let’s see how many I can fit in on the next Bank Holiday, I know I never learn! Spring is here and it feels and looks like it, on this bright warm and but windy May Day Bank Holiday. It is the time of the year when we decide to clean up, throw out, and bring in the new! As I have been feeling like this for the last few weeks I decided to do the above with this blog! It has nearly been a year since I last posted anything (my head is hung in shame!) So here is some of my spring cleaning list. I cleaned up: Gave the blog a few tweaks to look fresh. 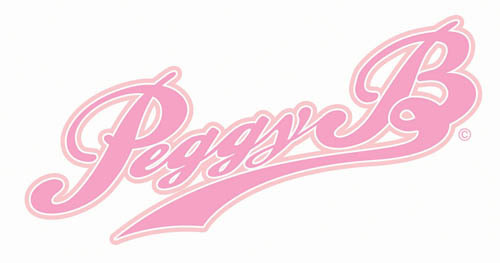 Bring in the new: Peggy B will be focusing on more! All things that is inspiring and creative for the home and life. So apologies for my absence, however there will be more to come!